MAJOR F.H. TUBB V.C. ~ 7TH BATTALION, A.I.F. 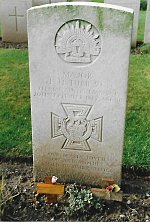 Lying among the 9,901 casualties of the First World War in Lijssenthoek Military Cemetery is one recipient of the Victoria Cross - Major Frederick Harold Tubb. One of ten children, he was born on the 28th November, 1881 at "St Helena" Longwood, Victoria, Australia. His parents Harry and Emma, both English born were teachers at the Longwood State School. Harry became headmaster and with his wife later bought 300 acres of farm land for grazing. He had a passionate interest in Napoleon Bonaparte and named his property 'St Helena' - the island where the former Emperor of France had been exiled after the Battle of Waterloo. Frederick was educated at Longwood School and although of small stature he was a very good at sport, in particular football and proficient in rifle shooting. On leaving school with an educational certificate he became manager of his father's farm and later of his own land. Interested in all things military from an early age, he joined the Victorian Mounted Rifles in June 1900. After serving with them for two years he joined the Australian Light Horse which after organisational changes to their military forces by the Australian Government had incorporated the Victorian Mounted Rifles. He joined as a private, became a sergeant in 1911 and then transferred to the 60th Battalion of Infantry. In 1912 he was commissioned as a Second Lieutenant and a year later transferred to the 58th Battalion of Infantry (Essendon Rifles). After the outbreak of the First World War he attested for overseas service with the Australian Imperial Force on the 12th August, 1914. He submitted an application for a commission with the 7th Battalion, Australian Infantry and was described as being 5ft 6ins in height, weighed 9-stone 6lbs, had a chest measurement 35-36½ins, normal eyesight, gave his occupation as a Grazier and religion as Church of England. A month later his application was approved and Frederick Tubb was appointed to the 7th Battalion as a Second Lieutenant. From August to mid-October he was employed at Battalion Headquarters. The 7th Battalion was one of the original units raised in 1914 by the Australian Imperial Force (AIF) in Victoria and with the 5th, 6th, and 8th Battalions formed the 2nd Australian Brigade. Raised within two weeks the 7th Battalion underwent basic training at Broadmeadows camp near Melbourne. The camp was established in August 1914 for the training of recruits from Victoria for the AIF. On the 19th October the battalion embarked on the HMAT Hororata at Melbourne for the Middle East. After a stop-over at Albany, Western Australia they continued on to Egypt where they disembarked on the 2nd December, at Suez. After further training the battalion was deployed on defensive duties along the Suez Canal in February 1915. At the beginning of April the battalion moved to Alexandria and embarked on the 5th April, 1915 for the island of Lemnos in preparation for the landing by Allied forces on the Gallipoli Peninsula. Frederick Tubb had been promoted to Lieutenant on the 1st February, 1915 and he accompanied the 7th Battalion to Lemnos on the Transport Ship Novian as Transport Officer. He remained on board and did not take part in the initial landings at Anzac Cove on the 25th April. Returning to Alexandria he continued his duties as Transport Officer. At the end of June he was informed that he was to be sent to Gallipoli as a replacement officer commanding "B" Company, 7th Battalion. On the 3rd July he embarked on the Transport Ship Scotian and joined his battalion on the Gallipoli Peninsula seven days later. The 7th Battalion had landed as part of the 2nd wave of troops on the 25th April at Anzac Cove. Once ashore confusion and poor communication between units in securing objectives and establishing a cohesive line from which to launch further attacks caused many casualties. They were relieved by the Deal Battalion, Royal Marine Light Infantry, four days later for rest and reorganisation. On the 6th May the 2nd Australian Brigade was transferred to Helles to participate in support of an attack on Krithia. The attack on the 8th May was unsuccessful and for the 7th Battalion costly in lives. Rested, for a few days at Helles and absorbing a reinforcement draft from Egypt they returned to Anzac. During the afternoon of the 6th August, the 1st Australian Brigade, launched an attack against strongly held Turkish positions on the southern side of 400 plateau. The area known to the Turks as Kanli Sirt had witnessed heavy fighting by both sides and became known to the Australians due a single pine tree growing there as Lone Pine. The assault was planned as a diversionary operation to draw away Turkish troops from the main attack to be launched further north against Chunuk Bair and Hill 971. The frontage of the 1st Australian Brigade's attack was approximately 150 yards and the distance between the opposing lines 40 to 90 yards. Tunnels were dug by the Australians towards the enemy's line to reduce the distance and give the initial wave of troops some cover. To help troops who would have to cross over open ground three mines were to be exploded to create craters to provide some cover. Over a three-day period prior to the attack on the 6th an artillery bombardment of the Turkish positions was gradually increased. At 1730 hours the ground attack began. On reaching the enemy's trenches which the Turks had covered over with pine logs there was no obvious way to infiltrate the Turkish line. Shooting from specially cut openings the Turks were able to shoot down the Australians. To break into the trenches the Australians had to prise apart and lift up the logs. Jumping down into the darkened and confined trench hand-to-hand fighting with bayonet and bomb ensued. The Australians gained the ascendency and occupied the Turkish line. Sand-bag barriers were erected along the top of the trench for the inevitable enemy counter-attack the first of, which came in the early evening. The Turks brought up reinforcements during the night of the 6th-7th but were unable to regain their former position despite brutal close quarter fighting. The 1st and 2nd Battalions had sustained heavy casualties in gaining possession of the Turkish trench on Lone Pine and to help them hold and defend it they were reinforced by the 7th and 12th Battalions. The fighting had devolved into both sides throwing bombs at each other and sometimes they were able to throw them back before they exploded. A number of Australian troops were employed at Anzac Cove in making up over 1,000 'jam-pot' bombs which were sent up to the front line troops at Lone Pine. The intensity of the enemy counter-attacks continued until the early evening of the 9th. Unable to drive the Australians from their new front line position the Turks withdrew though they had made limited gains further to the northward from the Lone Pine. Having taken approximately a 300 yard frontage and 150 yards of ground, the Australians began the process of consolidation. On the opening day of the Lone Pine battle, the 6th August, Lieutenant Frederick Tubb was promoted to Captain. The 7th Battalion was not deployed during the initial attack and waited for nearly two days in a reserve line, subjected to shell-fire, little sleep and sustained several casualties. They were ordered to take over the captured Lone Pine trenches on the 8th. As commander of "B" Company Frederick, was instructed to occupy a trench on the left of the main position. Their first encounter with the enemy began at approximately 0400 hours and continued throughout the day. The Turks mounted three attacks using rifle fire and bombs which took a heavy toll on the Australians. Tubb was wounded three times, but patched up he remained with his men. Close to a sand-bag barrier which Tubb and his men were defending the Turks detonated an explosive charge and blew it over along with its defenders. Tubb recovered and fired at a party of advancing Turks whilst two of his men Corporal William Dunstan and Corporal Alexander Burton began to re-erect the barrier. As they were doing so an enemy bomb landed between the two corporals, killed Burton and temporarily blinded Dunstan. Calling for men in an adjacent part of the trench to come to his assistance Tubb continued to keep the enemy at bay until they retired. Later the 7th Battalion was relieved by the 5th Battalion and they moved into bivouacs near the beach. Tubb wrote in his diary: 'We went in 670 strong and came out with 320. All the officers except the CO and Captain Layh were hit. I was extremely lucky and feel gratified for being alive and able to write. My luck was in all the time. It is miraculous that I am alive, three different times I was blown yards away from bombs. Burton of Euroa deserved the highest award for his gallant action for three times filling a breach in the parapet till they killed him. By Jove it was some scrap and a lot more of our good old 7th are gone. Anyway CO is very pleased with me and so is the Brigadier so I feel happy as Larry'. Frederick had sustained head and abdominal wounds from bomb fragments and a gunshot wound to his right elbow. Taken to an Australian Casualty Clearing Station where on the 11th a decision was made by the doctors to evacuate him to Malta. He embarked on the Hospital Transport Ship Gascon and was admitted to the Blue Sisters Hospital at Sliema. At the hospital he received treatment for his stomach wound which was slow to respond and would take time to heal. It was therefore considered to be appropriate to return him to the United Kingdom. He was transferred to the Hospital Ship Garth Castle which sailed from Malta on the 5th September. Arriving at Plymouth on the 13th he was taken to Miss Pollock's Hospital in Weymouth Street, London. At the end of September Frederick appeared before a medical board at Caxton Hall where although it was established his recovery was progressing, he was given three months further convalescence. He was sent to Lady Waring's Convalescent Hospital at Lennel near Coldstream in Scotland and it was there that he learnt that he had been awarded the Victoria Cross for his conspicuous bravery at Lone Pine. London Gazette, 15th October, 1915: "Frederick Harold Tubb, Lieutenant, 7th Battalion, AIF. For most conspicuous bravery and devotion to duty at Lone Pine trenches on the Gallipoli Peninsula on the 8th August, 1915: In the early morning the enemy made a determined counter-attack on the centre of the newly-captured trench held by Lieutenant Tubb. They advanced up a sap and blew in a sandbag barricade, leaving only one foot of it standing but Lieutenant Tubb led his men back, repulsed the enemy and rebuilt the barricade, supported by strong bombing parties in the barricades, but on each occasion Lieutenant Tubb although wounded in the hand and arm, held his ground with the greatest coolness and finally succeeded in maintaining his position under very heavy bomb fire." 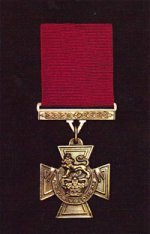 Frederick received his Victoria Cross from King George V at a ceremony held at Buckingham Palace on the 4th December, 1915. For their conspicuous bravery Corporal Alexander Burton and Corporal William Dunstan, also of the 7th Battalion were awarded the Victoria Cross. Burton's award was posthumous. At a medical board held at the Edinburgh Military Hospital on the 29th October, Frederick was told that his wounds had healed satisfactorily but he was 'out of condition and suffering from slight bronchitis' and placed on light duties for three weeks. He wanted to return to active duty and therefore did not tell the medical board that he had gastric problems. Frederick returned to London on the 16th November and was later in the company of some friends when he complained of an acute abdominal pain and was taken to Miss Pollocks's Hospital and confined to bed. Examined by doctors who acknowledged that his stomach was 'tender' they formed the opinion that the cause of his discomfort was either gall-stones or possibly a duodenal ulcer and pronounced him unfit for a further two months. However, on the 27th December Frederick was admitted to the 3rd London General Hospital with appendicitis and underwent an operation the following day. The operation was successful but left him in a weak and run-down due to 'exposure and strain'. The tissue around the incision was slow to heal and his doctors on the 28th January, 1916 pronounced him unfit for General Service or even light duties and recommended that he be returned to Australia for a minimum of three months. Placed on the Supernumerary List of the 7th Battalion he embarked on the 4th March on the SS Baltic at Liverpool and arrived at Melbourne at the beginning of April. Frederick was enthusiastically welcomed home by the townspeople of Longwood and given a civic reception. He appeared before a medical board at No.5 Australian General Hospital and requested that they pass him fit for overseas service. Although making satisfactory progress he was recommended only as being fit for light duties at home and was employed at a military rest camp at Macleod, north-east of Melbourne as a staff officer with responsibilities for invalids. In June the medical board considered him to be fit enough to become a bombing instructor at Duntroon Military College and at training camps in the 3rd Military District. It was not until the 9th September that he was pronounced medically fully fit and he embarked on the HMAT Nestor at Melbourne on the 2nd October, 1916 disembarking at Plymouth on the 16th November. After three weeks duty at the AIF Headquarters in London he was posted overseas to France on the 7th December and re-joined the 7th Battalion two days later. 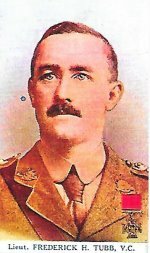 On the 10th February, 1917 he was sent to the 4th Army Training School in France and a week later was promoted to Major. He remained in France and whilst on leave in England he was taken ill on the 21st June and admitted to the 5th Auxiliary Hospital in London as 'Not Yet Diagnosed'. He had lost over a stone in weight and was again run down, exhausted and suffering from a bad cold. His health restored he was discharged on the 30th July, and returned to France on the 7th August, 1917. On the 20th September, 1917 during the Third Battle of Ypres the 1st and 2nd Australian Divisions were deployed in a sector north of the Menin Road. The 7th Battalion was on the right of the Brigade frontage and had moved from Fitzclarence Farm and crossed Glencorse Wood overcoming stiff enemy resistance. They continued to advance steadily over the shell-torn landscape of Nonnebosschen Wood, towards their second objective the western edge of Polygon Wood. It was expected that the Germans would launch their counter-attack as the Australians advanced closer to Polygon Wood. As the troops moved forward the enemy artillery fire was initially sporadic but quickly became more accurate and intense, inflicting serious losses amongst the Australians. Enemy snipers were also a constant hazard but despite this strongpoints south-west of Polygon Wood were captured. 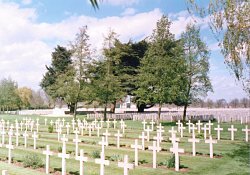 One of the officers in this operation was Major Frederick Tubb who leading his company had overcome several enemy emplacements on the southern edge of Polygon Wood. Prior to the attack he had been troubled by pain from a hernia, and ignored medical advice to report sick as he considered it his duty to lead his men in the attack. His brother, Frank also serving in the 7th Battalion had been nominated to replace Frederick as Company Commander. During the consolidation of the position Frederick was wounded by a snipers bullet. A stretcher party was summoned and while carrying him towards the rear they had to take shelter from an Allied bombardment. Frederick was again wounded by a shell fragment and taken to the 6th Field Ambulance where it was ascertained that the gunshot wound to his back had penetrated his abdomen. Evacuated to the 3rd Canadian General Hospital at Boulogne, where on admission it was found that he was dead. 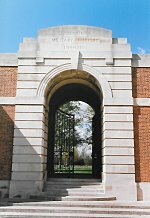 Major Frederick Tubb V.C., was 36 years of age and was buried in Lijssenthoek Military Cemetery, Belgium. Grave Location: Section XIX, Row C, Grave No.5. By the terms of Frederick's Last Will and Testament, dated the 17th October, 1914 he left his entire estate to his sister Elsie and appointed his father as executor. In April 1918, the Base Records Officer at Victoria Barracks, Melbourne wrote to Frederick's father asking for a copy of his will so the army authorities could complete the documentation concerning the deceased officer. Mrs Tubb replied on her husband's behalf as his health had seriously deteriorated and renounced his obligation as executor. Elsie, Frederick's sister, the legatee had applied for letters administration of her brother's estate. Mrs Tubb also took the opportunity to request a death certificate which the family required and wanted settlement of Frederick's deferred Army payments. After his death Frederick's personal effects were returned to his family in Australia via the AIF Kit Store in London. His mother Mrs Emma Tubb received her sons 1914-15 Star in January 1921, the British War Medal 1914-1920 in February 1921, 'Where the Australians Rest' pamphlet in March 1921; Memorial Scroll in June 1921; the Victory Medal 1914-1919 in July 1922 and the Bronze Memorial Plaque on the 6th January 1926. In January 1920 Mrs Tubb received a letter from the Imperial War Graves Commission asking her about an inscription on her son's headstone. Replying she requested "Our Dearly Loved Son and Brother Called To Higher Service." She received a copy of the proposed inscribed layout in August 1922 and gave the IWGC her approval. Major Frederick Tubb's Victoria Cross and campaign medals are in the possession of the Australian War Memorial and his name is inscribed on memorial Panel No.52. Memorials at Longwood also perpetuate his name. Elsie, Frederick's sister who was still living in the family home at Longwood applied for the ANZAC Commemoration Medal in June 1967 in respect of her deceased brother. 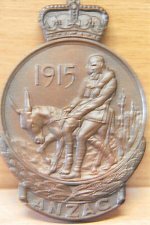 The medal was instituted in 1967 jointly by the Australian and New Zealand Governments and awarded to surviving veterans of the Gallipoli Campaign and on application by the families to the Central Army Records Office at Melbourne to those who had lost their lives. Elsie's request was subsequently approved. Frederick kept diaries of his experiences with the AIF and when each volume was full sent them back to Australia. The fourteen volumes - one was lost in the 1920's - were held by the family until 2010 when they donated them to the Australian War Memorial. In his last diary entry, 8 days before his death he wrote: 'My company has the honour on the right joining up the 8th Bn. Am handing this [diary] to Frank tonight [also of 7th Bn]. I must not take it into the line with me. I hope to enter up my future doings on this when we come out ... with the very best love [to] all my dear Folk I'll conclude this. I have a very busy time ahead'. National Archives of Australia, Service Record - Major F.H. Tubb V.C. History Of The Great War - Military Operations ~ Gallipoli: Compiled by Brigadier-General C.F. Aspinall-Oglander CB, CMG, DSO. The 1992 edition published by the Imperial War Museum (UK) and The Battery Press (USA). ISBN 0 901627 84 4 (UK); ISBN 0 89839 175 X (USA). Gallipoli - The Fatal Shore by Harvey Broadbent, Penguin 2005 paperback: ISBN 978 014 301133 0. VC's of the First World War - Gallipoli by Stephen Snelling, Alan Sutton Publishing 1995; ISBN 0 7509 0566 2.